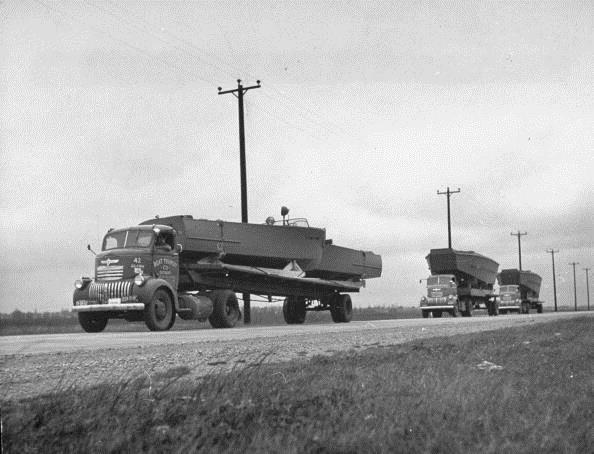 Congress passed the Motor Carrier Act of 1935, which regulated motor carrier transportation under the Interstate Commerce Commission (ICC) until January 1, 1996, when the ICC was discontinued. All “Acts” and other federal laws are codified in the Code of Laws of the United States of America, also known as United States Code, U.S. Code, U.S.C., or USC. The CFR is divided into 50 subject matter titles. Title 49 CFR covers Transportation. The titles are further divided into chapters, parts, sections and paragraphs. 49 CFR 395 is read as: Title 49, part 395 (the part for Hours of Service or HOS). The part number is divided from the section number by a period. The order of the sections is numerical: 395.1, 395.2, 395.3 . . . 395.15, etc. The Federal agency in charge of enforcing and occasionally updating the Hours of Service regulations is the Federal Motor Carrier Safety Administration (FMCSA), which is part of the U.S. Department of Transportation (DOT). The FMCSA has jurisdiction over any regulated drivers and motor carriers. 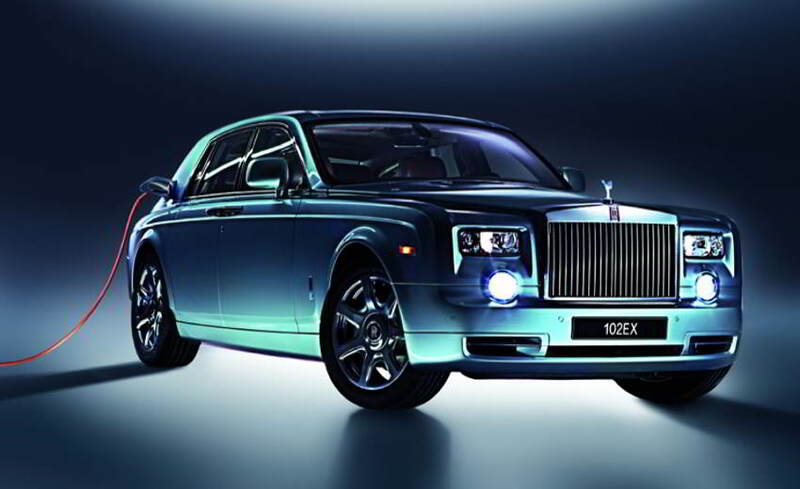 Driver means any person who operates any commercial motor vehicle (CMV). An automatic onboard recording device (AOBRD) is a device that meets the requirements of § 395.15 Automatic on-board recording devices. All AOBRDs placed into service before December 18, 2017, need to be replaced with ELDs before December 16, 2019. Driving time means all time spent at the driving controls of a commercial motor vehicle in operation, per §395.2 Definitions. Most of the terms in the regulations are defined in the beginning of each section. How to Flip Between the USC and CFRs? Sometimes it is necessary to see what the intent of the lawmakers was when they wrote the law by going back to the USC. Some aspects of transportation law (disclaimer I am not an attorney) may not be clearly codified in the CRFs. There is a better way than trying to Goggle what you want to find—the Table of Parallel Authorities (opens in .pdf). Regulated drivers, safety managers, driver supervisors and company management should be more than familiar with the rules that govern safe highway use. One of the better ways is to keep a copy nearby. 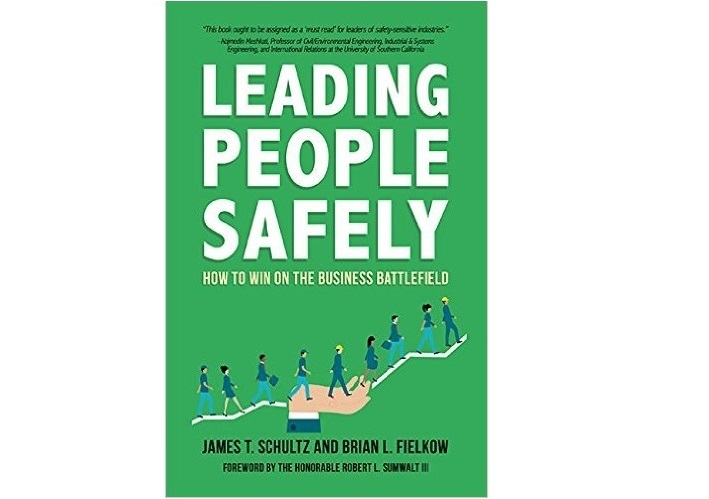 Knowing what the regulations say is the great foundation for any safety program. 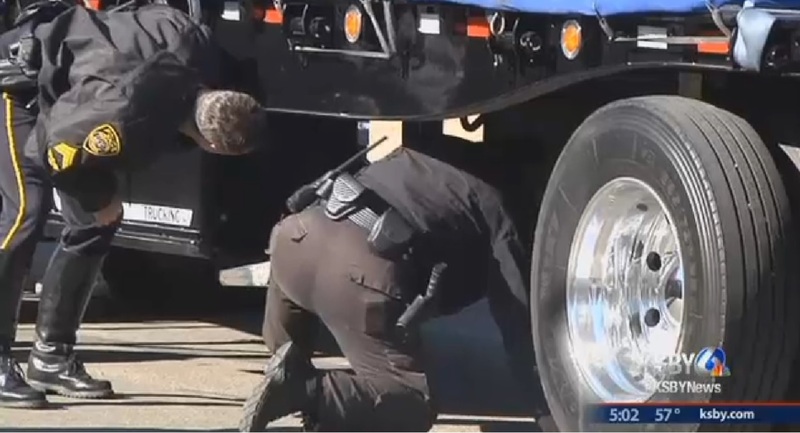 There are at least three vendors who sell the Federal Motor Carrier Safety Regulations. All motor carriers and drivers should have a current copy (not over a year old). Thank you for reading this. Please visit our website for more information on how to increase profitability in the surface transportation business. Taking the Low Road . . .
Shortcuts seem to offer a quick way to get where you want to go. This driver saw a number of cars cutting across a medium to a service road and decided to follow their lead. Unfortunately he was driving a heavy vehicle and quickly became bogged down. But say that he did make it across. This driver probably did not factor in all the up and down stresses and strains that would be put on the frame and on the trailer’s walls. Twisting the truck and trailer can cause both obvious damage or even hidden damage that can shorten the life of the vehicle. Using (or abusing) a vehicle in a manner it was not designed is never a good idea. It is a recipe for disaster. Stick to what you know. What works for another vehicle may not work for yours . . . Here is the original video . . .
♦ Thank you for reading this. In Michigan, the local saying goes, there are only two distinct seasons . . . winter and construction. Most drivers know when it’s winter, but some drivers seem to be confused as to when they are entering a construction zone . . . Many states double fines and “points” for traffic infractions in a construction work zone. Avoiding a ticket, however, should be the least of our considerations; we want to be safe and make sure everyone else is safe, too. 30% of fatal truck-involved work-zone collisions involve driver distraction. The most common type of work zone crash is the rear-end collision. Drivers are following too closely or not paying attention. • Keep a good following distance and be ready to suddenly stop. • Look for other vehicles trying to merge late into the lane. • Some states enforce the zipper merge. • Stay under the posted speed limit. • Expect the unexpected. People will make mistakes. • Turn the radio off and CB down. • In bad weather, slow down and leave extra following distance. • Be mindful of flaggers and signage. • Out east, cars will (illegally) pass your truck by driving on the shoulder. • Allow extra drive time in your schedule. • Don’t make ANY unnecessary lane changes. • Keep your headlights on. My personal strategy is to avoid construction zones, if possible. If I can’t avoid them, I will try to run through the zone during off peak-traffic times. Sometimes they can’t be avoided. Yeah . . . I’m that guy following the work-zone speed limit . . . And I hope you do, too . . . 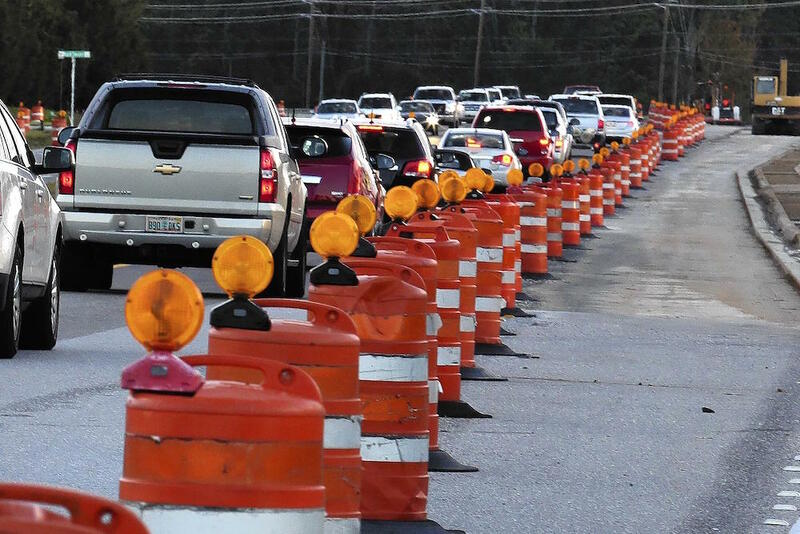 Remember today’s tip: If you see the orange barrels, it’s a work zone. Thank you for reading this. With thanks to Sgt. John Perrine. 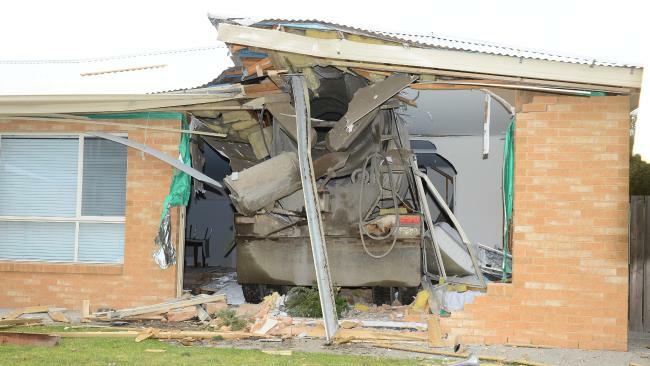 A 48-year-old ready mix truck driver was fatally injured Wednesday April 13, 2016 while working under his vehicle, which passed over him when it started to move, then rolled about the length of a football field into an unoccupied house. No one else was injured or hurt in the incident. The name of the driver was not released, but the driver was said to be well known and respected in his community. Did you know that all wheel chocks are not created equal? The size and type of wheel chock used is really dependent on several factors including the vehicle’s size and weight and the angle of the road surface (slope or grade). There is actually a formula to determine maximum slope angle of a chock. We’ll skip the math today, but keep in mind that parking on an angle greater than 10 degrees increases the risk of the vehicle rolling over the chock. The surface under the chock needs to be firm, as well, or the chock can be squashed down. Wheel chocks are covered under SAE J348, but the standard itself is not helpful as it is under revision. Wheel chocks are designed to supplement the parking brake. I can recall, for example, a time when trailers were not equipped with parking brakes and wheel chocks were essential to even unhook the trailer. Everybody carried 4x4s in the cab for this purpose. 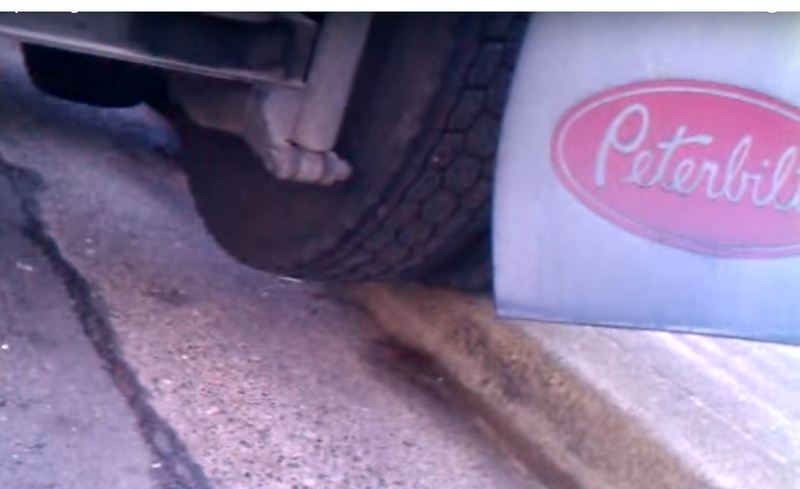 Today that is not the case, but there is still a place for wheel chocks, as large vehicles roll away every day, especially if parked on a grade, even a slight grade. Brakes can easily get out of adjustment if a driver does not do his/her daily air-brake checks. 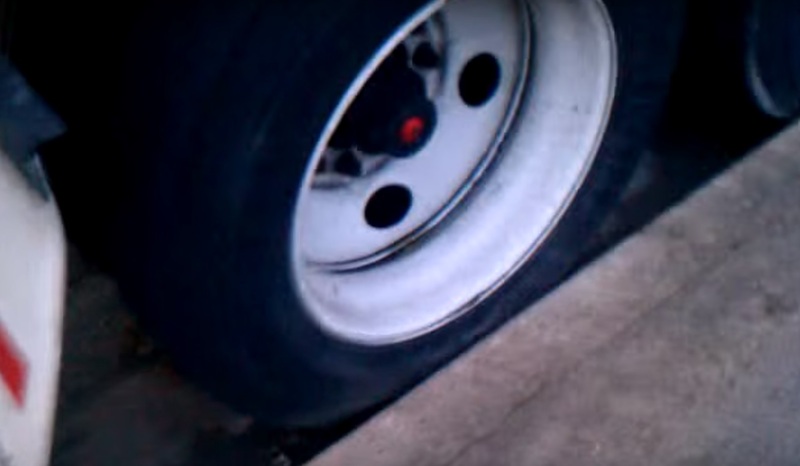 Brakes that are out of adjustment are frequently cited on roadside inspections. Automatic slack adjusters are really a misnomer, because if a driver does not fully apply the service brakes, the adjusting ratchet may not properly adjust. Most braking is light pressure (between 8 p.s.i. to 15 p.s.i on the application gauge). Rarely does a driver need to jam on the brakes during normal driving. But unless full-brake applications are made, the slack adjusters will not adjust themselves. One way to help the automatic slack adjusters to properly adjust is to do daily pre-trip inspection brake checks: (a.) check the air brake gauges, (b.) do the Parking Brake Check or “Stall” Test, and (c.) the Air Loss or Leak-Down Test. They check (d.) the Low-air warning devices and do the (e.) Protection valves POP-OFF test. Make sure the vehicle is always properly secure with wheel chocks . . . and it will be. 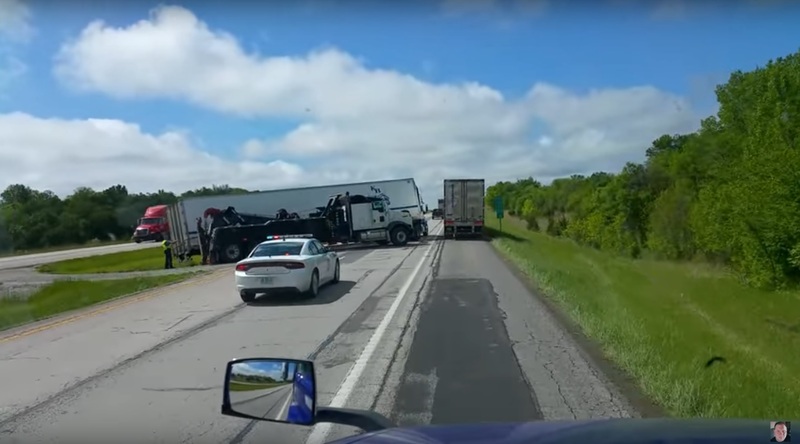 This truck driver laid on the horn before getting dangerously close to the vehicle ahead and locking up his brakes — all caught on video camera. Danny Leonardo Gonzalez, 50, says the reason he ran a dozen vehicles, including two loaded school buses, off of the northbound lanes of I-65, near exit 112 at 6:30 AM Friday morning (February 12, 2016), was because he snapped. Gonzalez hit one truck, then repeatedly rammed a Cadillac, pushing it out of the way. After leaving I-65 at exit 121, “he allegedly ran over street signs and a stop sign, before his truck became stuck in a field,” according to WDRB. He was ordered out of the truck at gunpoint and placed under arrest. “He looked like ‘this is my road and I’m taking it,’” said one of the bus drivers who swerved out of his way. Gonzalez was “charged with wanton endangerment, criminal mischief and leaving the scene of an accident.” A puppy was found in the truck, resulting in an additional investigation of animal cruelty. Who is the Angry Truck Driver? The angry or “high-anger” truck driver is part of American lore. There are angry truck driver jokes, even angry truck driver video games. Engage in hostile, aggressive thinking. High-anger drivers report more judgmental and disbelieving thoughts about other drivers than low-anger drivers do. For example, they’re more likely to insult other drivers or state disbelief about the way others drive. They also have more vengeful and retaliatory thoughts about other drivers, sometimes plotting ways to physically harm them. Take more risks on the road. High-anger drivers in his studies report more risky behavior in the prior three months than low-anger drivers do. They more often speed–usually 10 to 20 miles per hour over the speed limit–rapidly switch lanes, tailgate and enter an intersection when a light turns red. Get angry faster and behave more aggressively. High-anger drivers most commonly reported the following aggressive behaviors: swearing or name-calling, driving while angry, yelling at the driver or honking in anger. They were angry slightly more than two times a day and averaged just over two aggressive behaviors per day, whereas low-anger drivers were angry slightly less than once per day and averaged less than one aggressive behavior per day. This pattern held for low- and high-anger drivers who drove equally as often and an equivalent number of miles. Have more accidents. In driving simulations, high-anger drivers have twice as many car accidents–either from a collision with another vehicle or off-road crash. They also report more near-accidents and receive more speeding tickets. However, the two groups are equal in the number of accidents they have that involve major injuries; Deffenbacher speculated that’s because these types of crashes are a rare occurrence anyway. Experience more trait anger, anxiety and impulsiveness. High-anger drivers are more likely to get in a car angry, which may stem from work or home stress. They generally tend to express anger in more outward and less controlled ways as well as react impulsively. 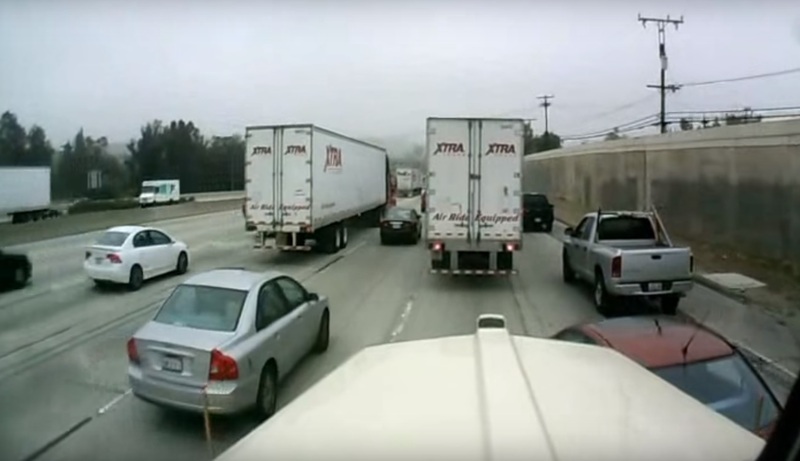 As anyone with a cell-phone can make a video, there are many behavioral examples of angry truck drivers on social media platforms such as YouTube or Vimeo. They are simply out of control and have no control of their own behavior or of how they operate their vehicle. But even more troubling is the fact that even when they have not reached their flash-point or trigger spot, high-anger drivers drive aggressively, speed excessively, drive impulsively, have more collisions and rack up more tickets. They may confront and even try to punish other drivers by insults or aggressive driving. Use any available vehicle telematics to monitor for sudden braking or erratic driving. Investigate any collision, no matter how small. Pay attention to outside reports of aggressive driving, verbal confrontations with other drivers, or a string of tickets or collisions. Have crystal-clear policies and standards in place covering driver expectations. (This is a big problem area in my opinion). Do thorough background investigations and ask former employers if they would ever hire the driver again. Allow more travel time to get to your destination. It reduces stress dramatically. Come to a full stop at red lights and stop signs. Don’t ever follow other drivers too closely. Concentrate on driving, not on any electronic devices, the radio, passengers, eating, or other distractions. Remember that you can’t control traffic, but you can control yourself, your driving, and your emotions. 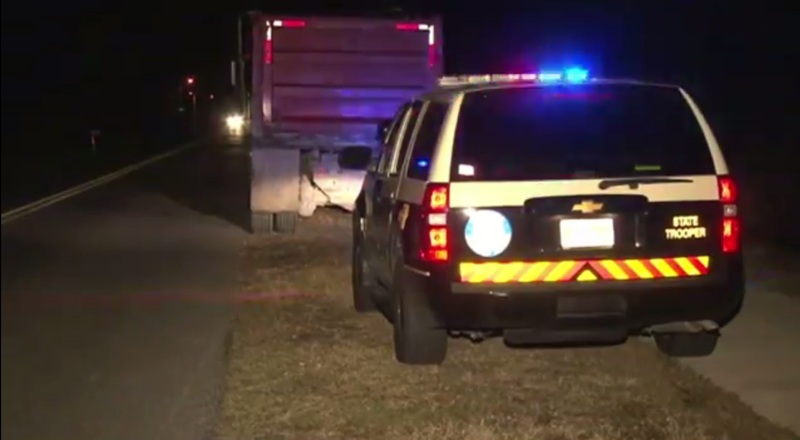 Palm Coast, FL— A dump truck driver stopped to help free a man’s pickup stuck in the dirt off the side of the Forest Grove Drive and killed both the 29-year-old driver and a 22 year-old pregnant woman. The double fatality happened late Thursday night (Feb. 11, 2016) at about 10:30 PM. When several tries to free the pickup failed, the dump truck backed up and may have unknowingly killed the two young people. The dump truck driver left the scene and was flagged down about a mile up the road. The dump driver was taken to a local hospital for chest pains. 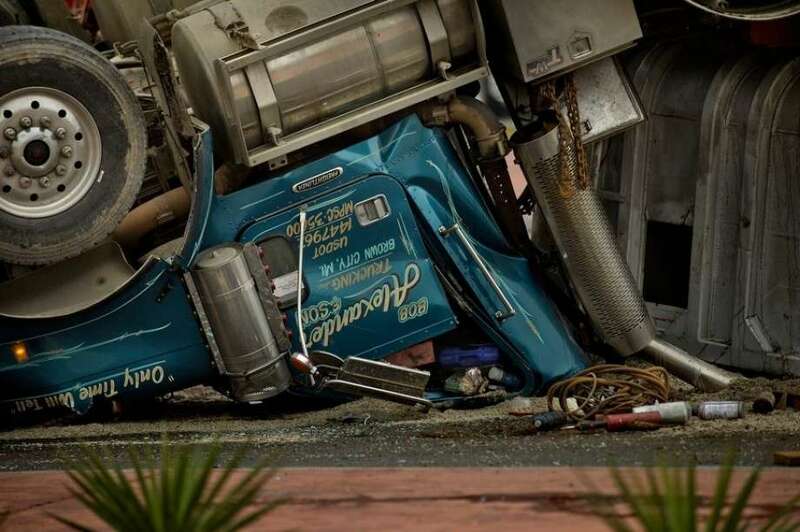 Charges against the dump truck driver are pending, according to WESH-NBC. Fatalities and injuries in backing crashes are tracked by the National Highway Traffic Safety Administration (NHTSA), a part of the U.S. Department of Transportation (U.S. DOT). Backovers that occur on a public roadway are called traffic backovers. Backovers not on a public roadway, for example, in a driveway or in a parking lot are called nontraffic backovers and these type of backovers are 37 percent of all off-highway fatalities (or about one person every workday — about 250 per year). The true number of people injured and killed in nontraffic backover events is most likely higher, as some public safety departments are not allowed to respond to incidents occurring on private property. Fact: Backing collisions are 100 percent preventable. The main cause of all backing accidents is human error. While we will never be able to prevent all human error, driver errors can be mitigated by safety training and indoctrination and a strong safety culture. In talking with small fleet owners, I have never had the topic of backing training brought up by the fleet owner. I’ve seen good on-site backing practices, but it’s hard to attribute one or two observations to a good safety culture or to the safe practices of one or two drivers. Whether one operates on-road or off-road, the procedures for backing are always the same: insure the path is clear, use a spotter, stop and re-check things if there is any doubt. I take safe backing personally. A tragic backing accident happened many years ago (before I was born) at my father’s trucking company. I learned to spot semi-trucks before I knew my ABC’s. Safety is my primary concern in writing these blogs. I know I oft repeat myself, but the reason is so the next generation of drivers and fleet owners don’t have to repeat the same tragic mistakes, year, after year, after year. Not enough attention is paid to backing safely. Part of the problem may be in training (endless repetition on the backing course where the driver may check his path once, if at all), and lack of refresher backing training. Watch drivers back at truck stops. It’s scary. Proper and safe backing is something that needs to be talked about with drivers at least once a year, if not more, in my opinion. Trucks vrs Bikes: No Winners . . . The bicyclists was following the rules of the road when she approached the intersection. The 26,000 GVWR truck came up from behind, overtook the 24 year old female rider and hit the bicycle as the truck made a right turn, resulting in a fatal collision. The truck driver made an unsafe lane change, without signalling, according to a witness— and later retrieved video of the collision. After the collision, the driver called his company— before calling 911. 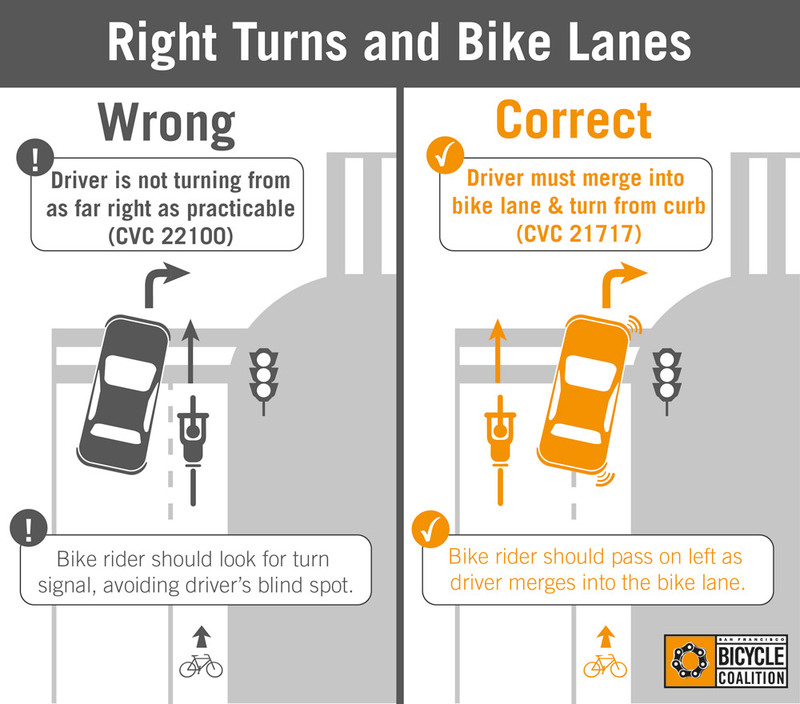 Merging into the bike lane and making a right turn is the number one question test-takers get wrong on the California Department of Motor Vehicles driver’s license test. Merging into the bike lane, however, should be logical to any driver, who knows what a solid line (don’t cross except to park) and a dashed line (merge over when safe) mean. The above turn on the left is known as a “hook” and should be avoided. A motor vehicle — regardless of size — when making a right turn, should always turn right from the curb. 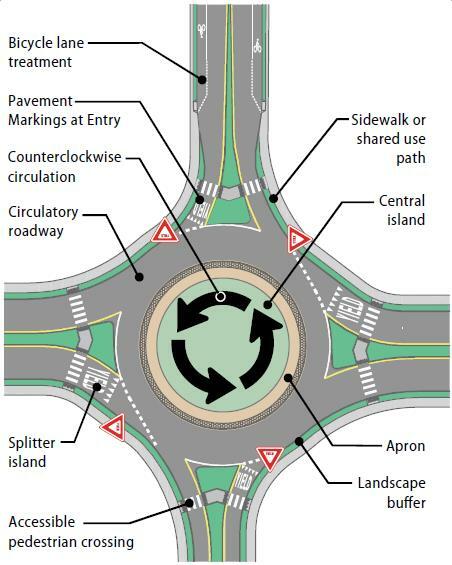 This avoids “conflict” (collisions) with bicycles and for larger vehicles like tractor-trailers blocks cars from getting between the truck and the curb (right turn squeeze-play). Bicyclists have the right-of-way in a bike lane. Right-turning drivers need to to safely merge into the bike lane where the solid line becomes dashed, and then yield to bicyclists. 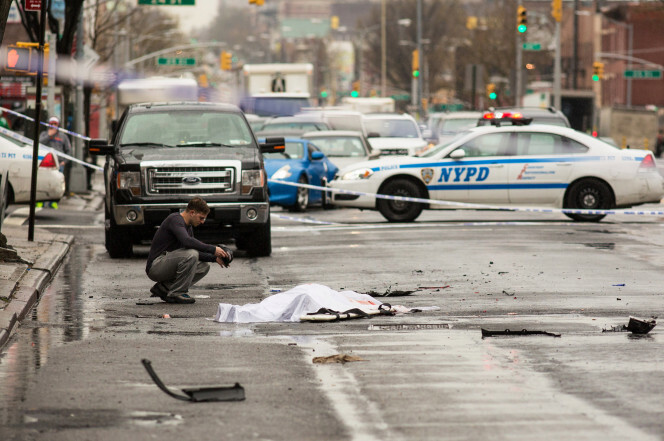 This confusion on Bike-Lane rules of the road may have one reason prosecutors declined to charge the truck driver with vehicular homicide or any criminal charges in the death of the bicyclist. In January 2015 a jury awarded her family a $4 million dollar judgement against the truck driver and his company. 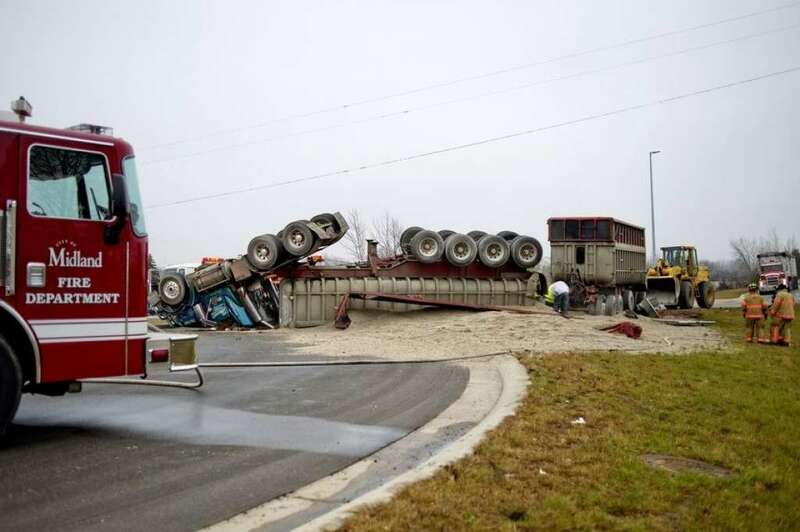 The attorney for the family noted the 47 year-old truck driver was not required to have a CDL license, but suggested this be changed and everyone driving larger vehicles have training in their safe operation. Bicycles can leave the bike lane if they feel it is safer for them. If the bicyclist feels safer outside the bike lane, they can ride in other vehicle travel lanes. Motor vehicles should not crowd the bicycle. Some states have a three-foot rule. As of December 2015, 26 states—Alabama, Arizona, Arkansas, California, Colorado, Connecticut, Delaware, Florida, Georgia, Illinois, Kansas, Louisiana, Maine, Maryland, Minnesota, Mississippi, Nebraska, Nevada, New Hampshire, Oklahoma, Tennessee, Virginia, Utah, West Virginia, Wisconsin and Wyoming—and the District of Columbia have enacted 3-feet passing laws. Drivers need to become knowledgeable on the rules of the road regarding sharing the road with bicycles. X-ray of a cyclist who was hit by truck given the “all clear” wave. It happens time and time again. You know the situation. Two drivers stop at an intersection, and one waves the other on. The second driver see the “all clear” wave and takes right of way, and then bang! — collides with a person, cyclist or another vehicle. Fault really depends in which state the collision occurs . . . and may even be determined on a case-by-case basis. In the collision with the cyclist (photo above), the driver who gave the “all clear” wave was found by an Oregon jury to be 35 percent responsible for the crash. 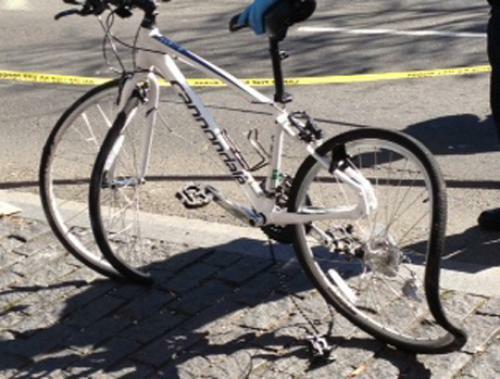 After the collision, the bicyclist went into cardiac arrest and stopped breathing, and would have died had a doctor not been nearby. 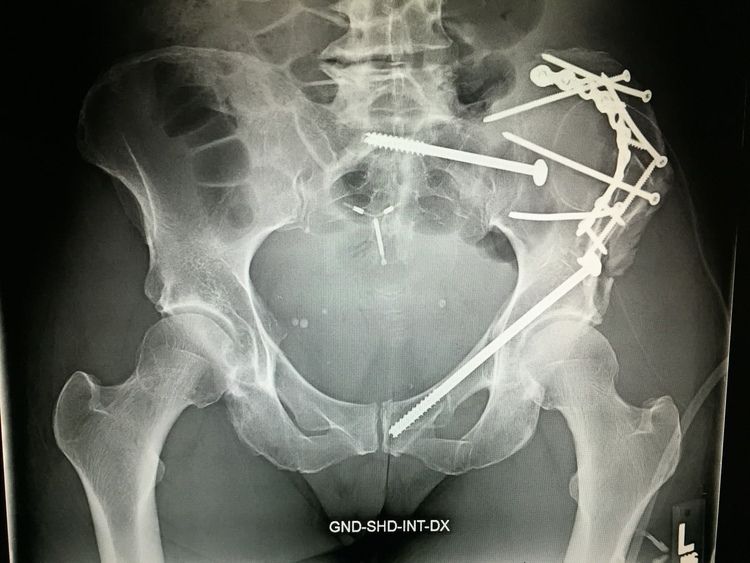 The bicyclist got twelve screws and a plate, four broken ribs, a broken scapula, punctured lung and a concussion, and sued both the driver in the truck-bike collision and his company, and the driver who gave the “wave” (and his company), for $670,000 in damages. Because commercial motor vehicles (CMVs) are large, they can obscure an on-coming vehicle at intersections. If a CMV-driver waves a car on, the car may do something the truck driver didn’t expect, like pulling into traffic, cyclists or pedestrians who have the legal right-of-way. This shouldn’t happen, but it frequently does. Another potential “conflict” occurs when a tractor-trailer swings into the oncoming lane to make a right turn. If not timed correctly, traffic can back up quickly. If the tractor-trailer driver waves a car around his truck, there is no telling how the car driver might respond. Giving an “all clear” wave can result in serious injury to others on the road. Giving an “all clear” wave can subject well-intentioned drivers to liability. 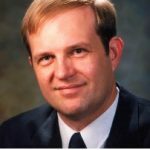 Gary Wickert, Esq., and attorney with with Matthiesen, Wickert & Lehrer, and expert on insurance subrogation, wrote an article called Punishing Common Courtesy in Claims Journal. A good argument can be made that “do-gooders” who bring traffic to a complete stop to wave somebody into the roadway create a dangerous blind spot for the merging vehicle and a very hazardous situation for all vehicles in the vicinity. This is especially true when the vehicle that comes to a stop is a large SUV or truck. Nobody wants to put their life in the hands of some well-intentioned motorist, and it is hard to precisely interpret a “wave.” Does the wave mean that it is clear to pull across both lanes of traffic or simply to pull in front of the stopped vehicle and proceed in the same direction? The “wave” usually consists of a signal which can be interpreted as “it’s clear to cross the street.” This debate makes for interesting bar chat, but when tragedy results from good intentions, lawyers enter the conversation. And, if the person attempting to cross the street is a pedestrian or if you extend the liability to a driver’s signaling that it is clear for a vehicle behind him to pass, when it isn’t, the liability for having a big heart can be significant. Drivers Need to Know . . .
A driver signaling “all clear” can create a traffic hazard — resulting in personal injury or death. A driver “directing traffic” assumes the same level of liability as a police officer does when directing traffic. Chicago, IL — On Friday, January 22, 2016 Andrew Bokelman, 25 plead guilty in a Cook County court to to three charges — all felonies — of operating a commercial vehicle while impaired or fatigued, filing a false log to conceal hours worked, and working longer than a 14-hour period allowed by law. Shortly after 11:00 PM, on Thursday, March 28, 2013 Bokelman was traveling on on I-294, south of Willow Road near Northbrook, IL, when his tractor-trailer drifted to the left and then the left shoulder of the south-bound lanes. Illinois State Trooper James Sauter was parked on the left shoulder and was rear-ended by Bokelman’s rig, and pushed over 500 feet, resulting in a fire. Although Bokelman attempted to help trooper Sauter, he was not able to because of the flames. A witness reported Bokelman had never touched his brakes prior to impact. 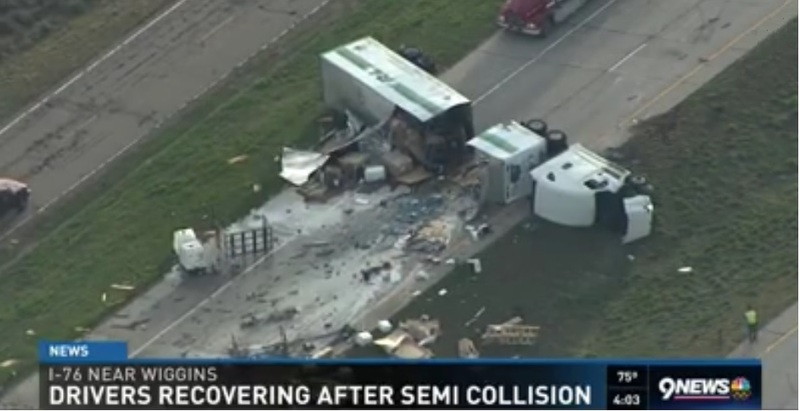 Bokelman received his commercial driver’s license (CDL) about six months before the crash. Bokelman was driving from Waukesha, Wis., to Louisville, Ky and had driven about two hours prior to the crash. Alcohol and drugs were not a factor in this crash. Officer Sauter was known as a “road dog,” who enjoyed highway patrol work and helping people. Although an Illinois State Police pilot, he requested to get back on the road. Bokelman was not charged with reckless homicide charges, because in Illinois there is no precedent for doing so in cases when a driver falls asleep at the wheel. Bokelman started his work shift at 6 AM that morning and had worked 18 hours straight. His intentions were to not drive much further before the crash. A reckless homicide conviction in Illinois carries a sentence of between two to five years in prison. On January 27, 2014 another Illinois trooper — Douglas Balder — was seriously injured and a toll worker killed when they were struck by Renato Velasquez’s tractor-trailer when Velasquez reportedly fell asleep. Velasquez had been driving over 28 hours on 3 1/2 hours of sleep. Bokelman was sentenced to two years in prison but will be released in about a year due to time already served. The insurance company for Bokelman’s employer paid a $10 Million settlement to trooper Sauter’s wife. There were some people not satisfied with Bokelman’s two-year sentence. They say it sends the wrong message, that it cheapens the lives of law enforcement. Lessons Learned — Indoctrinate your drivers. Running until you are dog-tired and nodding off at the wheel is simply knuckle-headed stuff. Stuff — that should never happen. But it keeps happening — again and again and again. Start with the cold truth: Log violations and falsification are felonious. You can’t do worse than that. Train drivers to protect themselves. The best protection is found in following the rules. The only driver protection is in following the rules. As I like to tell drivers — the insurance is on the truck. Sure — bad things can happen to good people. Even good people following the rules. But by following the rules, a driver has what is known as a defense. The rules are there to protect everyone including the driver. Somehow that message is not getting out there. Something is wrong— very wrong when drivers are running 18 to 28 hour shifts at a stretch. It’s not productive. It’s not healthy. In fact, very quickly, it can and does turn counter-productive. Back in the day, it was common practice to park and take a short nap if a driver felt it was needed. This was an unwritten rule in driving— when you reached your limit, stop, rest, and recharge before continuing. 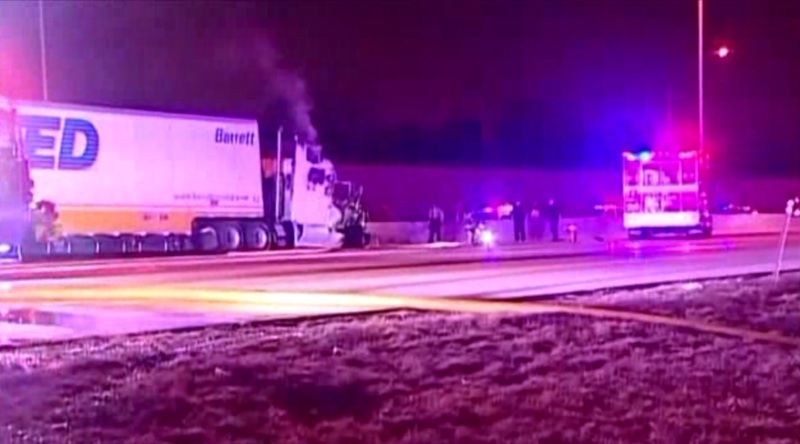 The Illinois officer killed on the road before trooper Sauter, trooper Kyle Deatherage, was killed by a tractor-trailer driver who suffered from a medical condition that caused a loss of consciousness. The driver was allegedly in a state of unconsciousness when he struck and killed trooper Deatherage who was conducting a routine traffic stop on the roadside. Another truck driver who should not have been on the road. Another unnecessary fatal collision. Trooper Kyle Deatherage won’t be there for his wife and kids . . . Train and indoctrinate your drivers to protect themselves by knowing the rules, following the rules and documenting what they do. Rolling Roadblocks by Trucks: Illegal or Not? Rolling roadblocks are a name for a tactic that has been used by police to control and slow down traffic. An officer may weave across the lanes from side to side, or, the preferred method is to have the patrol cars drive abreast, one in each respective lane. A rolling roadblock by police typically slows traffic while roadwork is being done, or a hazard is present on the roadway, ranging from a tire casing across a lane to a major collision scene. Are trucks legally allowed to block traffic with a rolling roadblock? Traffic laws in the U.S. are enforced by their respective states. One of the basic rules of driving is that slower traffic should stay to the right, unless passing. 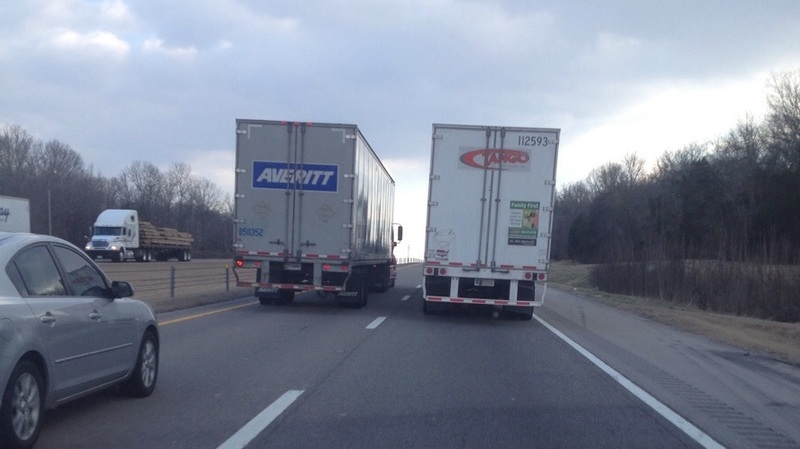 Some states ban trucks in the left lane. PA § 3301. Driving on right side of roadway. Driving in the left lane (without returning to the right lane when it is safe to do so) is considered a civil infraction (a driver will be fined and pay court costs) under (MCL 257.634 in Michigan. Another issue to take into consideration is the fact that what is not enforced in one state, may be enforced in another state or even in a different part of the same state. 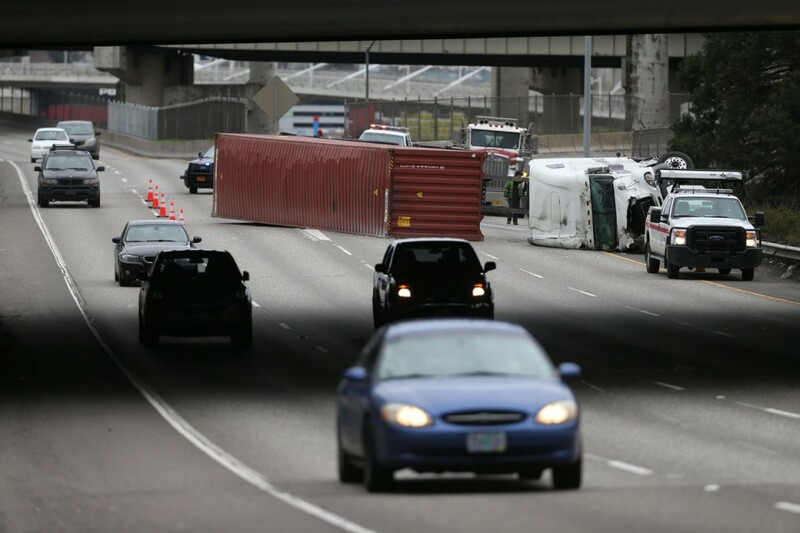 Truck drivers should not participate in creating rolling roadblocks. Law enforcement may consider a rolling roadblock, even with good intention, the same as drivers taking traffic control into their own hands — an illegal act. Motorcycles have been encouraged by the Motorcycle Safety Foundation to use the shoulder for safety during expressway slowdowns. Lane splitting (the practice of riding a motorcycle between clearly marked lanes) by motorcycles in slow expressway traffic is considered an “option” for motorcycles in California. Trucks should not move over in their lanes or to other lanes to impede motorcycles. More states are encouraging merging traffic to blend together in what is known as the zipper merge. Treat all merging traffic with common courtesy and expect other drivers to make mistakes. Do not take right-of-way. Right of way can only be granted — never taken. Train and indoctrinate your drivers about the legal consequences of engaging in rolling roadblocks. Set clear expectations in driver handbooks and company policy (in writing) about rolling roadblocks, interacting with motorcycles and merging. 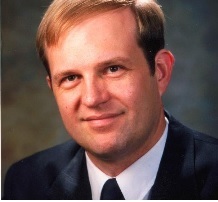 John Taratuta is a trucking safety advocate and Risk Engineer.